On March 16, Students’ Council and the Student Activities Office (SAO) released Havertivity, an app for student events and activities, to club leaders. The following day, they released the app to the student body. “We’re really hoping it makes communication and collaboration and advertisement on campus much easier,” said Michael Elias, Director of Student Activities and Leadership. The Havertivity app has three key functions: to share information about clubs, to compile student events, and to make communication among students easier through the app’s campus message board. Havertivity had roughly 400 registered users as of last Thursday, according to Elias. 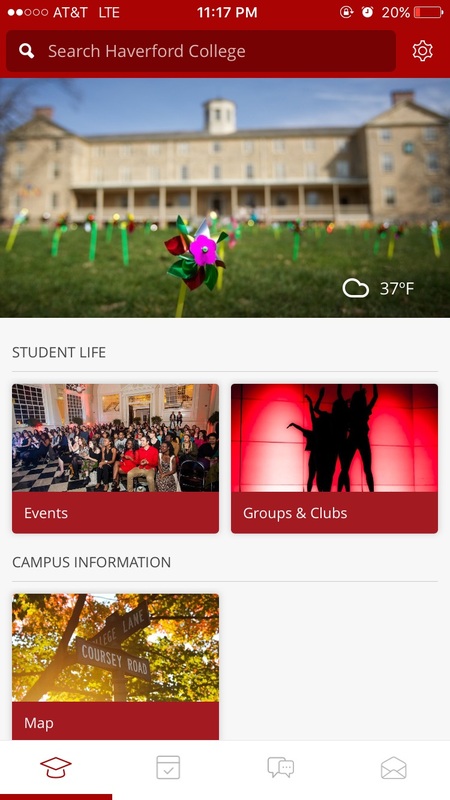 The app has a number of features for club leaders and students who want to become more involved on campus. According to Elias, the app allows clubs to edit their descriptions and tag events—thereby creating a list of their events for the semester—and enables students to join clubs and communicate with one another. Havertivity also has an up-to-date list of student events. Students can submit an event through the Event Management System (EMS), and it will appear on the app as soon as the SAO approves it. For events that are not part of EMS, students also have the option to submit information through the SAO website, which the interns will transfer to the app. Elias encourages students to provide detailed information about the event in their reservation, as that is what appears in Havertivity. Fords Against Boredom (FAB), an organization that plans various events for students, started using the app shortly after it was released. FAB has listed all of its events through April on Havertivity and hopes to use it as a calendar. In the past, FAB has advertised its events through hc-all emails, posters around campus, and Facebook events. According to Vivian Sun ’17, one of the club’s leaders, Havertivity will probably not replace other forms of advertisement. “It’s not like we’re reaching all of campus [with Havertivity], but we’re reaching a significant amount that do care about student activities,” said Sun. Sun commented on a few issues with Havertivity. First, students without smartphones cannot access the app. Although students without smartphones currently can access the app from an iPad, Elias hopes that soon they will also be able to log onto OohLaLa’s website to see events. Both iOS and android users can download the app. The SAO plans to announce an alternative for students without smartphones shortly. Sun added that, at the moment, club leaders do not have the ability to post or information themselves; instead, they must go through the SAO. However, students can post anything on the campus wall. “I think having regulations for what we can post on the wall, just like how we have regulations for what can go through as an hc-all email, will be more important in the future,” said Sun. According to Claire Dinh ’16 and Jason Hirsch ‘16, SC Co-Presidents, SC has considered different ways of sharing information with students for over a year. SC looked to replace the Weekly Consensus, and began to talk specifically about an app this year. SC hopes that the app will save time for the SC Co-Secretaries–who previously spent a couple hours a week copying and pasting information into the Weekly Consensus–allowing them to focus on other projects. “Since [the Co-Secretaries] still chair the facilities fund, take minutes at plenary, and lead the SC awards deliberations, they remain an essential part of Students’ Council,” wrote Hirsch. SC looked into a few different options for developing the app, including the possibility that Haverford students design one. However, Haverford bought the app from OohLaLa, a Montreal-based start-up, in December. The College has a one-year, renewable contract with the company. Dinh hopes to include more information from the Athletics Department on the app, which could help to bring attention to different athletic events on campus. “A lot of the time, we don’t know which games are going on and when, so this app might have the potential to help bridge that little gap between varsity athletes and non-varsity athletes and encourage non-varsity athletes to get out to games more,” said Dinh. According to Elias, the College can also add other features to the app, such as the DC menu or the blue bus schedule. “We wanted to release it first and use it for clubs and events, to make sure it was filling its initial purpose, and then we can figure out how to make it grow,” said Elias.